The Church Mouse is back! The Church Mouse has more or less been in a state of hibernation for almost two years (since October 2011, in fact). This was a deliberate choice. When Melvin Llabanes was first appointed as parish priest of St Vincent’s, he came with a friendly demeanour and apparent willingness to engage, offering the hope of something better than the preceding 8 years of Neocat hell. After lying derelict for many years, the former St Vincent’s presbytery next to the church on Redfern Street is about to enter a new phase of life, as the transformation of the old building into a new school for Aboriginal children nears completion. Redfern Jarjum College, sponsored by St Aloysius’ College, Milsons Point, on behalf of the Jesuits, will be a fee-free school. (Jarjum means “children” in the Bundjalung language). The Church Mouse has been in a state of hibernation since last October, largely as a consequence of recognising the need to remain silent and give the parish priest and the community space to build a meaningful relationship. It appears that St Vincent’s new parish priest is to be Fr Melvin Llabanes. At least, according to the Archdiocese of Perth website he is "on Placement in Redfern, NSW". 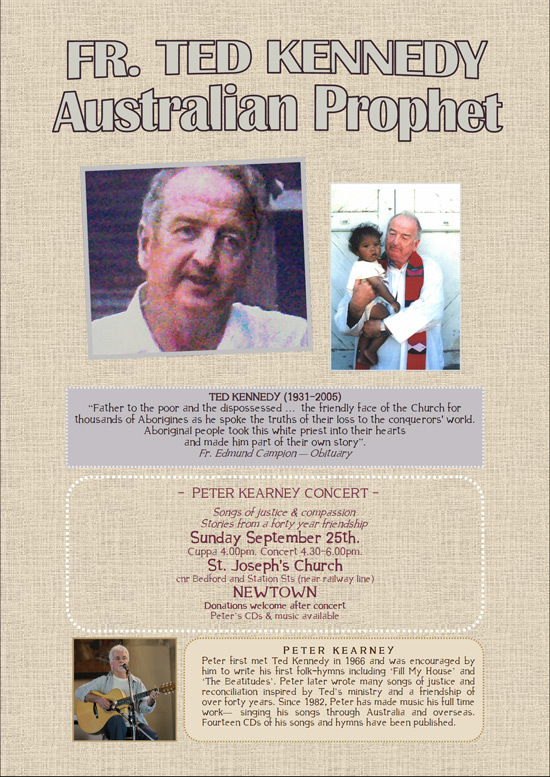 Peter sings songs of justice & compassion inspired by Ted Kennedy and a forty year friendship. Peter first met Ted Kennedy in 1966 and was encouraged by him to write his first folkhymns including ‘Fill My House’ and ‘The Beatitudes’. He later wrote many songs of justice and reconciliation inspired by Ted’s ministry and a friendship of over forty years. A selection of photos taken at yesterday’s magnificent farewell to Sr Marnie Kennedy may be viewed here. Captions may be added if time permits, and as always, suggestions are most welcome. More details, including transcripts of the tributes will be posted here as they become available. 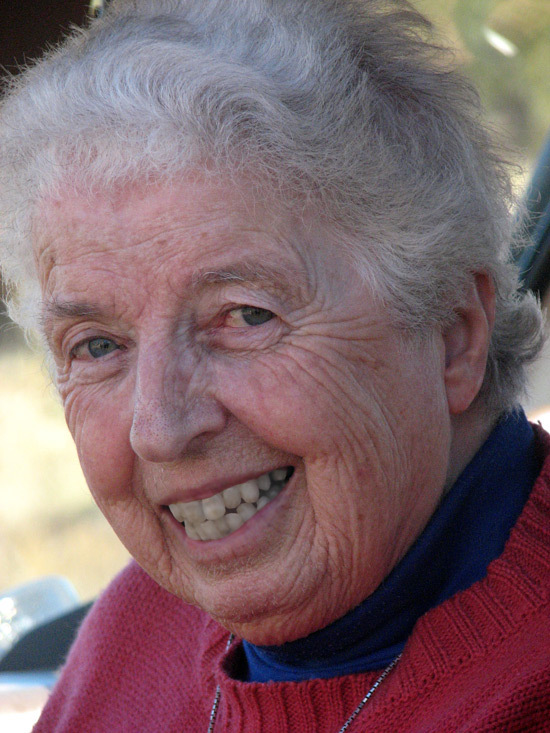 Sister Marnie Kennedy died this morning around 5:20am. She had been ill for some time, but it was a very peaceful home-going for her. Sister, friend, wisdom figure, Marnie will be greatly missed. For several weeks the community has been trying to have a proper requiem at St Vincent’s to farewell Sr Pat Durnan, with Fr John Ford as celebrant. Both Clesio Mendes and Miguel Zavarese obstinately refused all requests, insisting that it was their prerogative as parish priests to officiate at such things, whether they knew the deceased or not, and certainly regardless of the wishes of relatives and friends. Church Mouse | Powered by Mantra & WordPress.